We’ve got more promotions for you from William Hill for this weekend! These promos are available to all William Hill customers. If you are new to Will Hill, click here to open an account. With a magnificent weekend of football to look forward to, William Hill is giving you the chance to take control with the Cash In My Bet offer. This promo is available to all customers who have not tried the Cash In My Bet feature. If you cash in your football bet for profit this weekend, William Hill will give you a £10 free bet on Monday! The Cash In My Bet feature allows you to cash in your currently winning bet while the contest is still running! Simply place your football bet(s) for this upcoming weekend, monitor the games, and cash in one of your winning bets before the match ends (or the outcome changes!) and get your free bet on Monday! All new customers receive a William Hill free bet worth up to £20. William Hill is inviting you to their Special Blackjack Happy Hour, between 8-10pm GMT. Play any Blackjack game during the Happy Hour and if you score Blackjack 3x, you’ll immediately receive a £100 bonus from the prize pool! Blackjack fans rejoice! You must opt in to this promotion. The bonus will be issued daily from 20:00 to 22:00 GMT starting February 5th until February 7th 2016. Read our William Hill Casino review here. Ab heute Abend möchten wir Sie zu unserer besonderen Blackjack Happy Hour zwischen 20:00 Uhr und 22:00 Uhr (Zeit im Vereinigten Königreich) einladen. Blackjack-Fans dürfen sich freuen! Der Bonus wird ab 5. Februar bis 7. Februar täglich von 20:00 Uhr bis 22:00 Uhr. 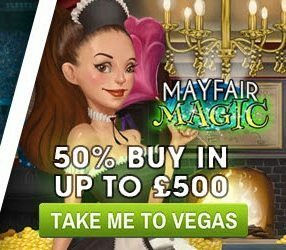 Also on the menu is a bonus of up to £500 to try the new and William Hill Vegas EXCLUSIVE slot, Mayfair Magic! Join the lord of the manor and you could spin big this weekend! Never played at William Hill Vegas? You can receive up to a £100 bonus! Read our William Hill Vegas review to learn how. The 2016 Six Nations kicks off this weekend, with all eyes on Eddie Jones as his tenure as England coach begins with a tough trip to Murrayfield. 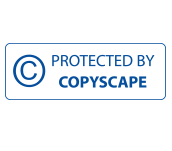 William Hill’s Try Again Insurance is back by popular demand! If your first tryscorer scores the second try, William Hill will refund your losing stake as a free bet up to £50. Not only is this offer available on all Six Nations games, but also on every single televised Super League game this season. Have a great weekend and good luck at William Hill! For more information on getting free bets from William Hill, read up about the William Hill promo code offer here.